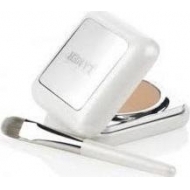 Ideal for fluid or cream foundations. 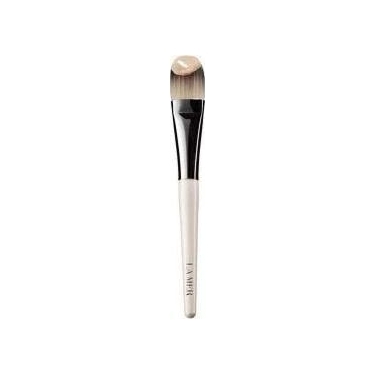 Foundation Brush de LA MER is a precision brush that helps smooth fluid foundation easily over the skin for a flawless finish. Clean with a gentle cleanser as needed. The bristles are soft to touch, but stiff enough to create a flawless coverage. Shake well before using. Take a pea-sized amount of foundation in the palm of your hand and using a brush apply to face with inside-out motions. You can apply using a brush or damp sponge. Smooth over your face, blending well from forehead to jaw line. Use your concealer to hide skin imperfections. If you intend to use a lot of foundation, the concealer should be applied first.